With the ever advancing software industry, a lot is changing in how we interact with the world. This has terrifically transformed communication and entertainment is terrific in the contemporary world. 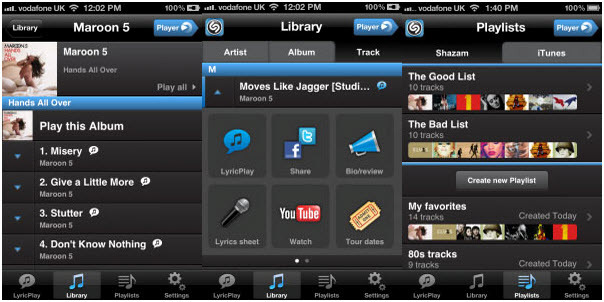 Thanks to the emergence of amazing application such as Spotify which have been successfully integrated to other useful gadgets such as smart TVs. 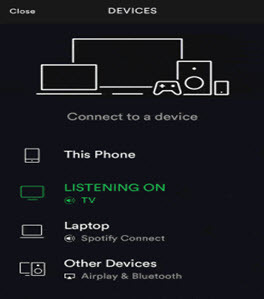 Spotify being on the forefront has launched an app for smart TV to enable both free users and premium users to stream and download their favorite Spotify songs on the smart TVs void of difficulties. In this article, we are gonna share how to use Spotify on Apple TV and Samsung TV. Are you an avid music listener and in need of playing your songs using Spotify on Apple TV? New Apple TV is already in market but Spotify is nowhere to be found despite having variety of apps on its App Store. However, with either Mac or iOS device you can use Airplay with just simple workaround to have it on your TV. Option 1: Using Mac, this function is supported by OS X Mountain Lion 10.8 and above. Step 1. 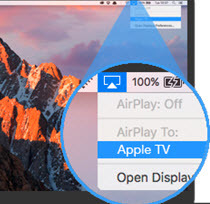 Tab to run the Airplay icon located in the top right-hand side of your Mac’s menu bar. Step 2. When Airplay is opened, select Apple TV device. After which you will be able to see your computer screen mirrored on your TV. Step 3. Now, when your Mac is still mirrored on your TV, click Spotify app to launch and begin playing your best-loved songs. Your TV speakers will be used to play your music. Option 2: Using iOS Device, Airplay is easier on iOS devices including iPhone, iPod touch, and iPad. Step 1. Click Spotify app icon on your iOS device to open. Then choose your favorite song to play and then hit the now playing bar. Step 2. Click on “Devices available” which is located at the bottom of the screen then also tap on “More Devices” and select Apple TV as your AirPlay device. 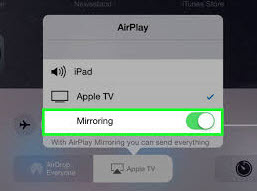 Remember before you start using either of the two methods, ensure AirPlay on the Apple TV is enabled and also connected to the same WiFi network as your Mac or iOS device. Is your Samsung smart TV a 2015 to current model and is running the Tizen operating system (version 2.3 and above)? And also you have a device with spotify already successfully installed? If yes, stick to this super easy detailed set-up guide to know how to get Spotify on Samsung Smart TV. Step 1. Switch on your Samsung smart TV and on your TV's home screen navigate to the Samsung apps, here search for “Spotify” which is located under search-friendly category like Music or Lifestyle. Click on the “Download” button then install and launch it. Tap to open spotify app on your device such as phone, tablet or laptop. Step 2. 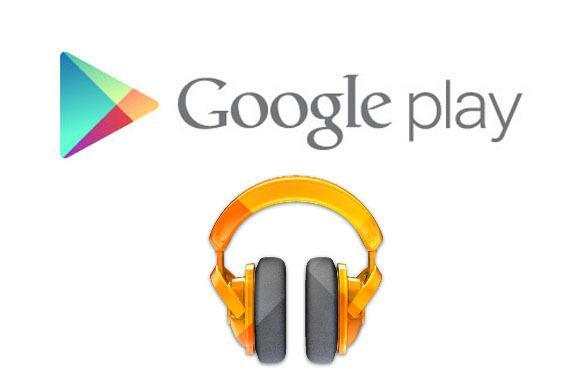 You can either stream online your favorite music or play songs which you already dowloaded for offline use. On the bottom of the screen tap “Devices Available“ button. Then select your Samsung TV. Now you can start listening your music on your TV. Note that both your samsumg TV and the device you using are connected on the same WiFi network. You probably have been hunting for the best Spotify music downloader without fruition or found an unsatisfactory tool somewhere. However, if you got iMusic downloader tool then you are better placed to understand what a fascinating music experience all means. iMusic is actually a top-notch complete software that can download, stream, play, share, and transfer music across various hot devices with hardly any problems. Simply grasp the content and the know-how tricks and you won’t find a need for a third party tool. As a matter of fact, there are millions of devotees who have considered iMusic as an indispensable tinker tool owing to the long list of exceptional features. Discover numerous thousands of songs from innumerable artists. Thanks to the amazing search function which executes the search process by song’s genre, an artist’s name, the song name or a playlist. Download their favorite songs, playlists, from 3000 sites. In fact the program provides direct access to some of these sites via the respective links within the program interface. Record feature brings to live possibility of recording a live session such as streaming radio station over the internet. 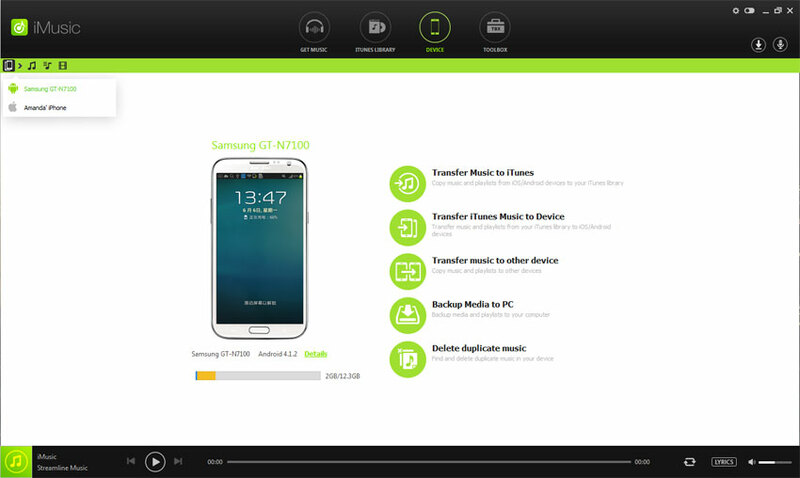 Compatible with almost all devices and operating systems making its super easy to transfer songs, playlists, Podcasts, TV Shows and iTunes U between iPhone, iPad, iPod, Apple TV, etc. Easily fix any problems related to your iTunes library. These include mislabeled songs, broken tracks, duplicate songs, and dead tracks among others. Enable users to create a backup of their current library so that it can be easily restored in case there is a loss of files or purchase of a new system. Go to the iMusic download page and download the latest version of iMusic software. Once downloaded, go to the set up file and install it in your computer. After successful installation, just go to the program’s icon and tab to display the main window. Select the “Get Music” tab and select the “Download” button. 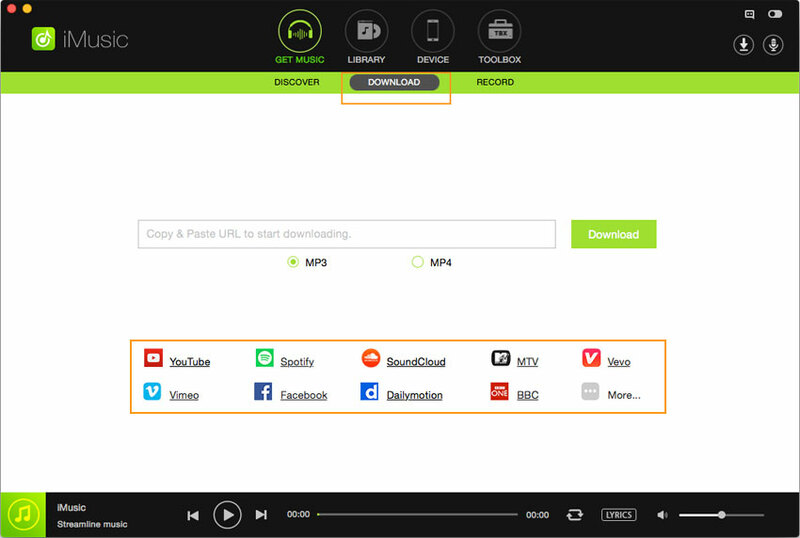 After clicking the download button, you will be able to see a copy and paste box at the center of the program’s interface and a host of popular online sites such as YouTube, Spotify, Vimeo, Vevo, and DailyMotion among others. 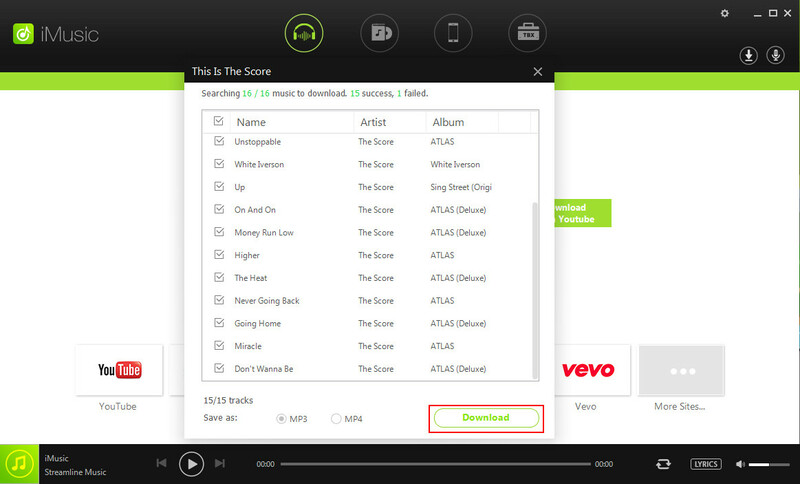 You can open your browser and go to Spotify, search the song you would like to download and copy its URL link. Once copied, go back to the program and paste the link in the copy and paste URL box. Alternatively, you can simply click on “Spotify” to access the site. 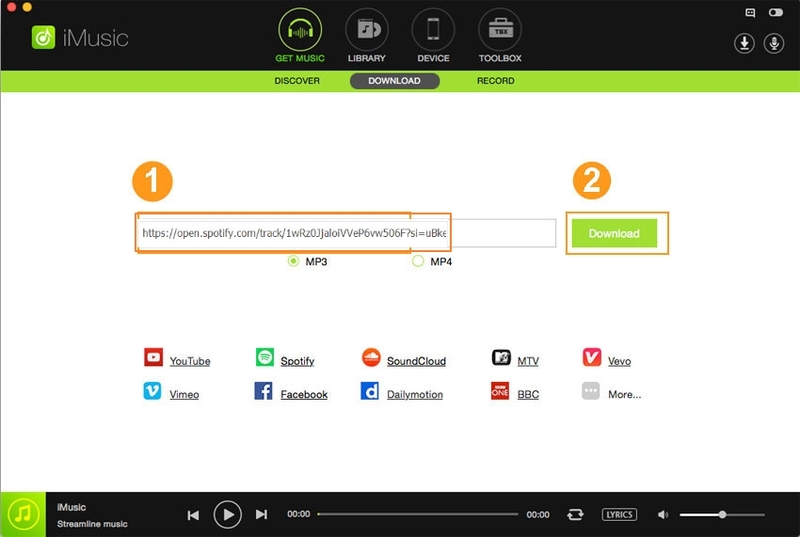 Just like using the browser, simply search the respective song, copy its URL and paste within the copy and paste box in iMusic. After pasting the URL within the copy and paste box, select the target output format. The options provided are mp4 and mp3. Once satisfied with your selections, hit the “Download” button beside the paste box. The download process would automatically commence. Wait for the program to complete downloading your track. Connect your USB device to the right port on your computer. If the program successfully detects this device, its information is displayed on the interface. To access this information, just hit the “DEVICE” tab at the top of the main window. In case you USB stick has some music, the program would simply display them on the screen. Navigate to the top right corner of the program’s screen and hit the “+” icon. This would open the files explorer window where you shall locate the Spotify downloaded songs. 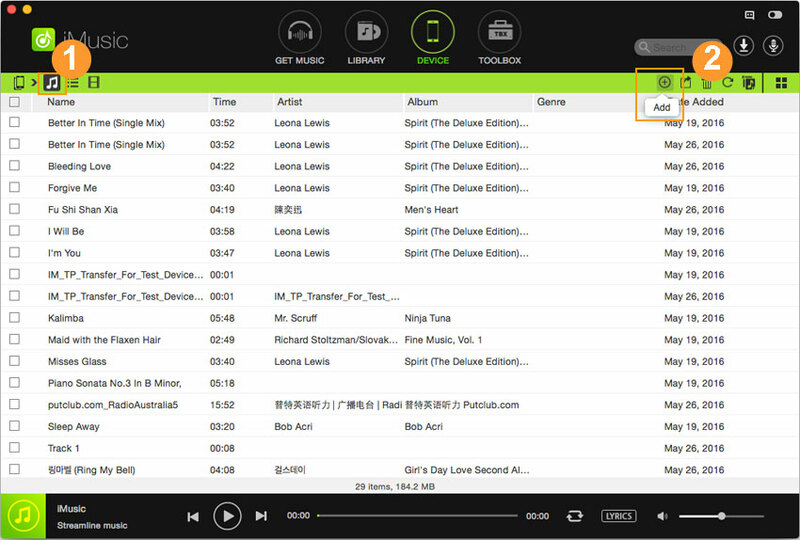 Select the respective songs and finally hit the “Open” tab to add these songs to the USB song list. Accessing and listening to Spotify on smart TV is definitely one of the awesome creation of the century. Fortunately, this feature is has here for us to enjoy and make life better. Listen to your favorite Spotify songs and playlists on smart TV today and be part of the overwhelming smart community.